Everyone’s Irish on St. Patrick’s Day! Are you feeling lucky? 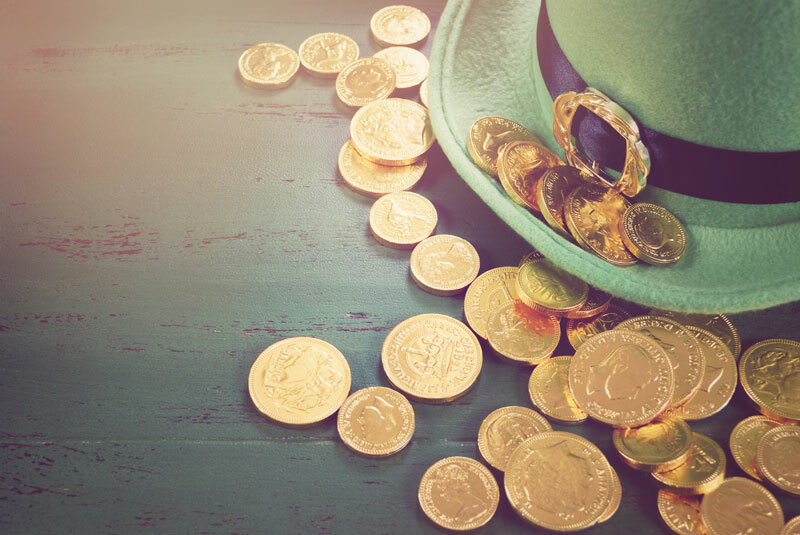 This is the fun and friendly family event that will feature imaginative arts and crafts, a magician, Irish soda bread tasting, a (temporary) tattoo station, a myriad of game tents, a leprechaun trap demonstration, and, of course, the hunt for gold* coins! You let your child search the grounds for gold coins during our annual Leprechaun’s Lucky Gold Hunt! There will be gold coins scattered and hidden throughout the park, then, once time has expired, you can turn in your pot o’ gold for some fun prizes! Activities officially commence at 4:00 p.m. and hunts will run at 20-minute intervals from 4:30-5:30 p.m.
St. Patrick never actually wore green. He wore blue! It wasn’t until the 18th century that the color got linked to the holiday because of Irish independence. We at Udell Family Insurance hope you are able to attend this fun, festive, and family-friendly event! For all of your local insurance needs, contact Udell Family Insurance in Westlake Village, California.